Upside Down. 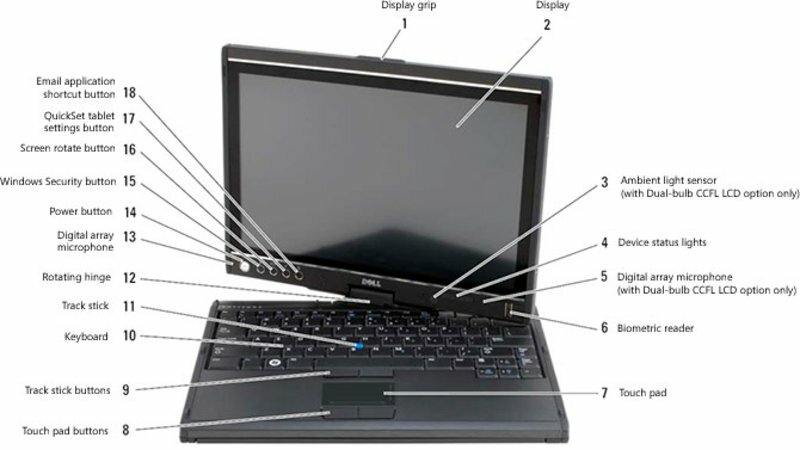 Although convertible notebooks like the Dell Latitude XT, which support being operated either as tablet PC or as standard notebook are still rare, they gain more and more market share, because of new technologies and increasing possible field of application. The Dell Latitude XT demonstrates how a good convertible PC should be. 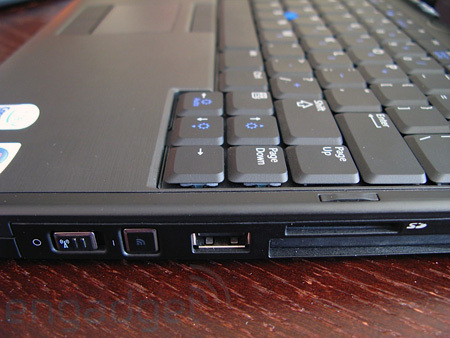 The Dell Latitude XT isn't going to replace your current notebook as it lacks real power. However, if you have specific need for a Tablet PC, this is one of the most cost-effective and easy to use devices we've used for some time, making it a highly recommended choice. 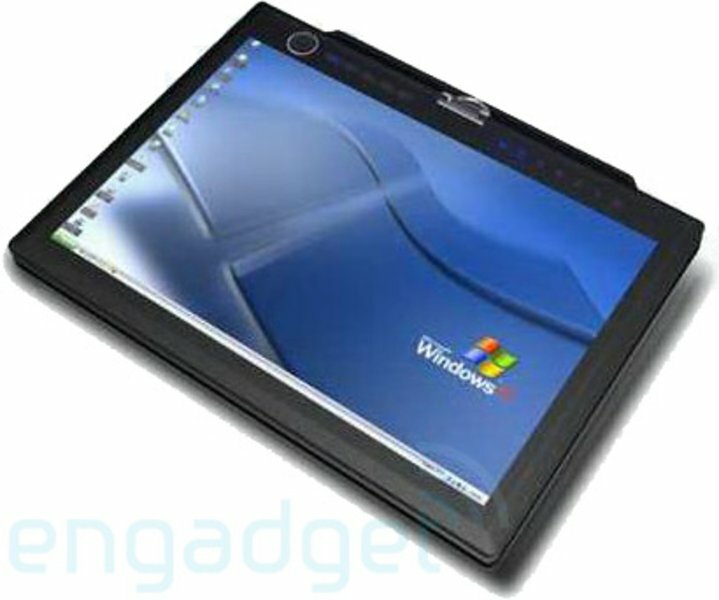 As a platform, the Tablet PC has never reached the mass market acceptance that Microsoft expected. However, as a business tool it has seen steady and continued growth. So much so that Dell has finally launched its first device into the market with the Latitude XT (£1409 inc. VAT). It's an impressive machine, weighing a mere 1.6kg and is finished in black aluminium, giving it a tactile feel but also a robust quality to the design. This is a handsome and very usable Tablet PC, thanks to its excellent screen and keyboard. Battery life and performance are both a little disappointing, though, and the price becomes steep as you add in the options. The Dell Latitude XT Tablet PC is an excellent all around Tablet PC with an exceptional screen and well thought out features. The Latitude XT has the power to get things done and the simple clean lines of the black case make it un obtrusive. Also worth noting is that lack of "gloss" on this machine makes means your not disturbed by unwanted reflections. 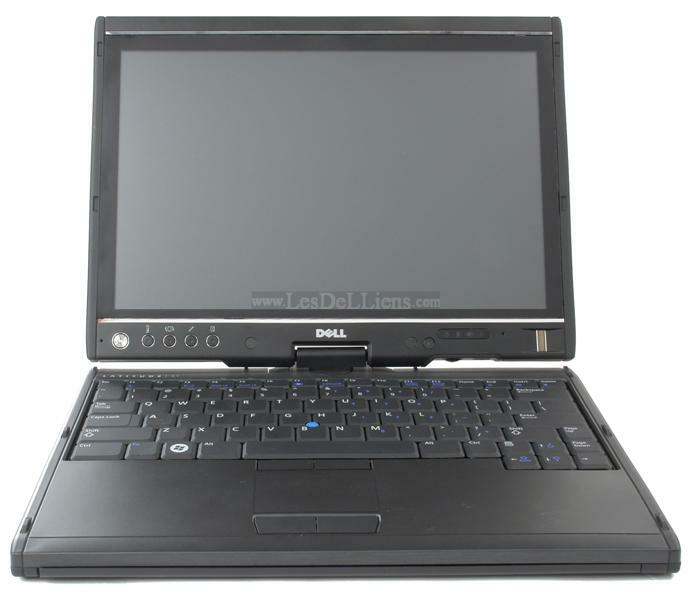 If you are in a position to order a Dell Latitude XT "Road Warrior Solution" configuration you wont be sorry or disappointed in your investment. The Latitude XT from Dell is a lightweight system that will appeal to users running pen-driven applications, especially with its support for touch input as well as the stylus. The built-in 3G modem is also a bonus for travelling workers. However, the system looks costly compared with other Tablet devices, unless buyers can obtain a discount. Its price and relatively weak battery life count against the Dell Latitude XT when compared to normal ultra-portable notebooks. However, if it's a Tablet PC you must have then its superbly accurate and clear screen make a persuasive argument, provided you can justify the expense. 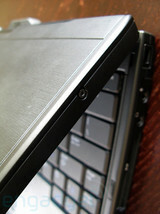 The Dell Latitude XT’s unique capacitive touchscreen puts it at the head of the class in terms of tablet functionality. But is it worth the three-grand premium? Yes, but only if you pick up the nine-cell battery and you don’t mind the extra bulk it adds. 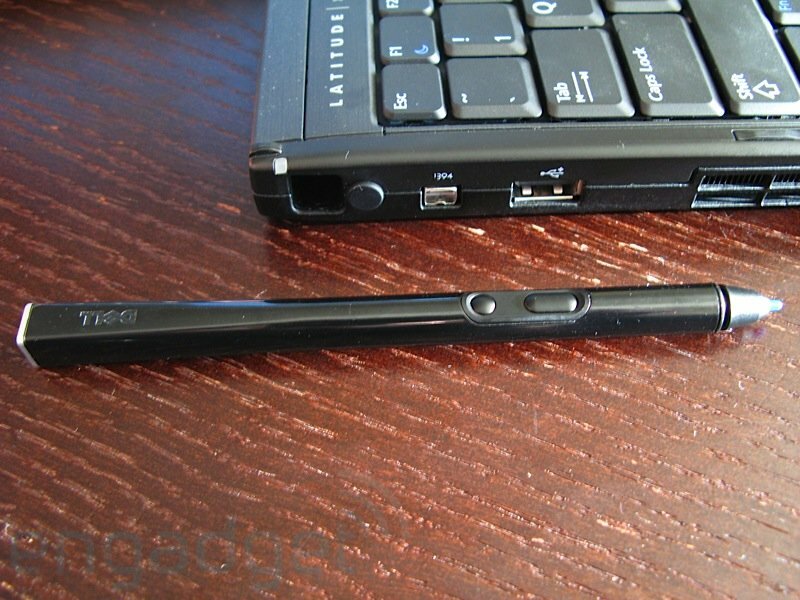 Tablet PCs never captured the attentions of PC owners in the way that Microsoft might have liked. But while most of the big manufacturers have dipped their toes into the murky waters, and with varying levels of success, one has been notable by its absence: Dell. The newest addition to Dell's Latitude range is an expensive, but highly accomplished Tablet PC. The Latitude XT is a solid tablet with a great display. It is very expensive though. 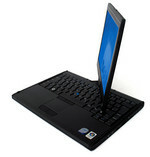 Many users complained about the price and Dell says it is targeted toward the business market not consumers. This may be true, but it still seems a bit pricey for the business market as well. The XT can compete with Toshiba's M700 or even Lenovo's X61. Yes, the N-trig, dual touch technology is a huge plus and taking notes and using your finger are almost flawless, but the price is way above its competitors. The XT comes with a nice array of ports and has plenty of optional accessories. The slice battery gives it all day power and the MediaBase gives you an optical drive and more ports then I could ever use. It seems Dell is already talking about updating the XT by November 2008 as well, so I guess we will see what the XT2 has to offer. 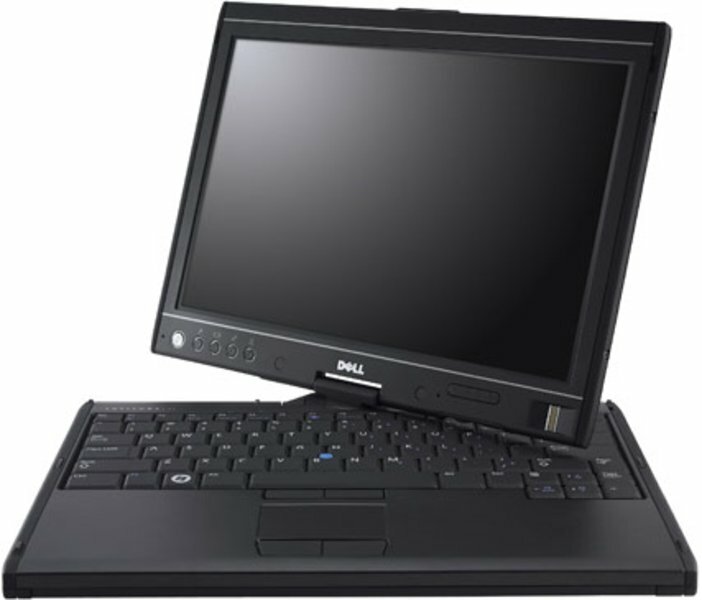 If you are looking for a Tablet PC that can also be used as a standard laptop PC, then the Dell Latitude XT is one of the best available on the market. The key thing to remember is that this system makes a lot of compromises in order to function as a Tablet PC, so it is not as well suited to the strict ultraportable role.